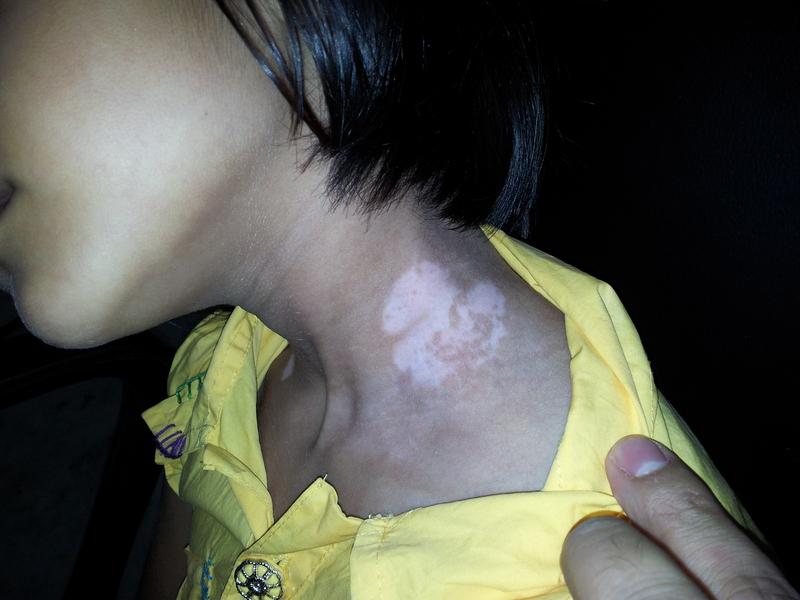 Leucoderma is defined as a white mark over skin with prominant border margin. It is diagnosed after appearance of a depigmented skin area. A cut or scratch can cause leucoderma marks over skin. The nature of Leucoderma can be defined as it is considered to be an accidental mark. Generally after a cut or burn the skin colour gets back to normal in few weeks after healing of the wound. But if the person has lesser immunity or he has lost the basel epidermal layer where the melanocye is situated then the skin colour loss can happen because of the pigment producing cells. It can be termed as Leucoderma. Emergance of Vitiligo can be generally seen after Leucoderma which can get associated and makes it more complicated. Leucoderma cure can be done with the help of Ayurvedic treatment and medicines. As the Ayurvedic treatment consists of herbs which regulates the metabolic system, it helps in providing better immunity condition to the body. The improved immunity helps in control of further spreading of the white patches. Leucoderma is considered as a symptom of vitiligo. After few weeks of herbal intake the tendency of getting newer spots after a cut or scratch can be ommited. Secondly the herbs which are used in leucoderma treatment are photosyntheric in nature. The photosensive nature of herbs starts pigmentation over the white spots within 6-8 weeks of intake. In this way Leucoderma cure can be done through Ayurvedic medicinal herbs under guidance of a herbalist or an Ayurvedic Leucoderma specialist. For Leucoderma treatment the medicines available are in the form of capsules filled with herbal extracts for oral intake. Topical application is in form of Anti vitiligo powder and Anti vitiligo oil.